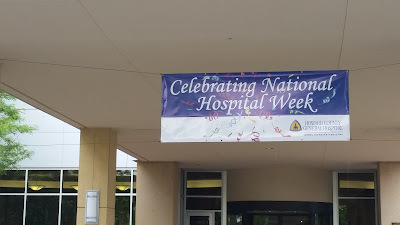 ...Why was I invited? 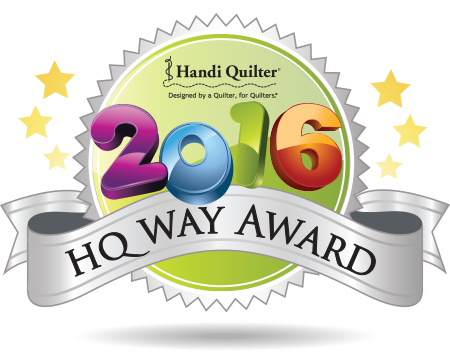 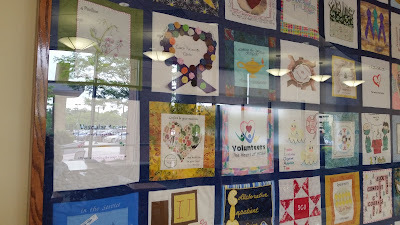 I had the honor of participating by quilting the quilt that was being unveiled! 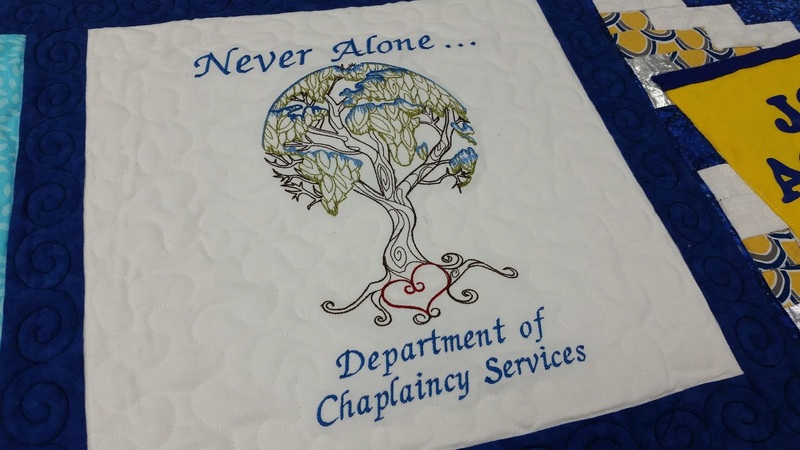 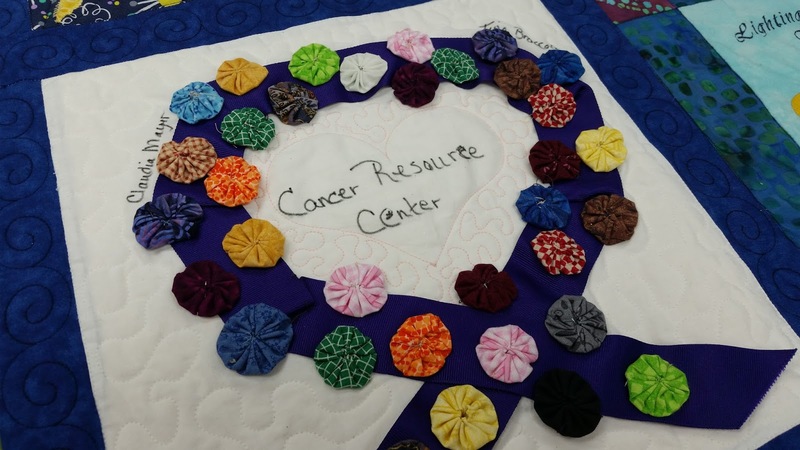 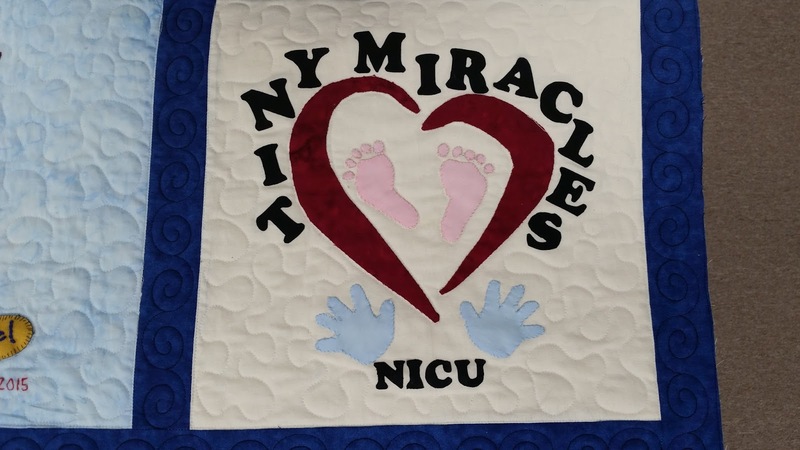 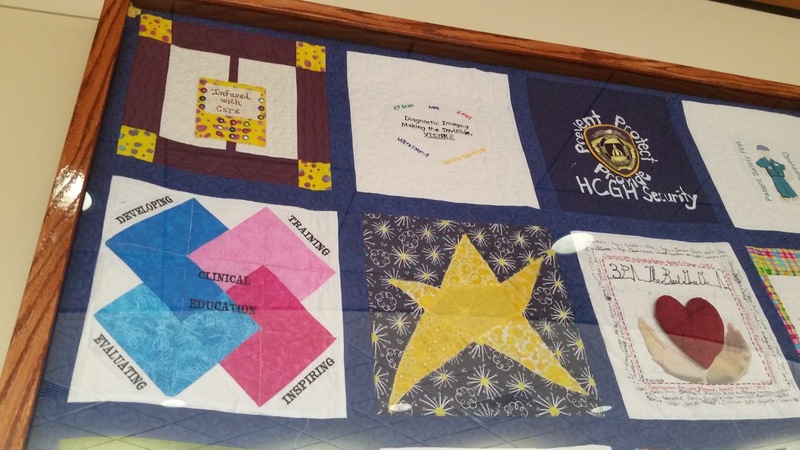 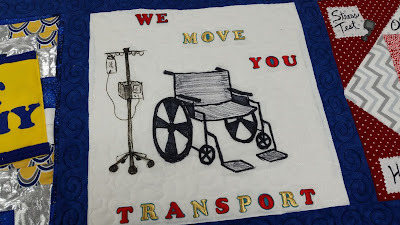 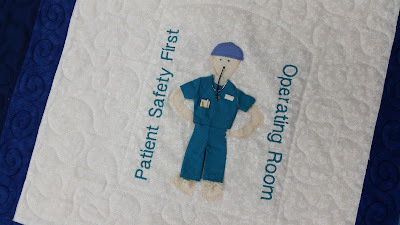 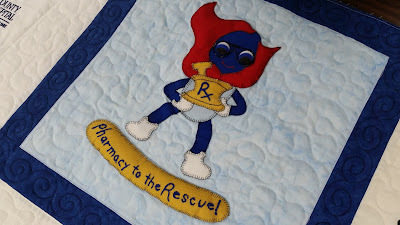 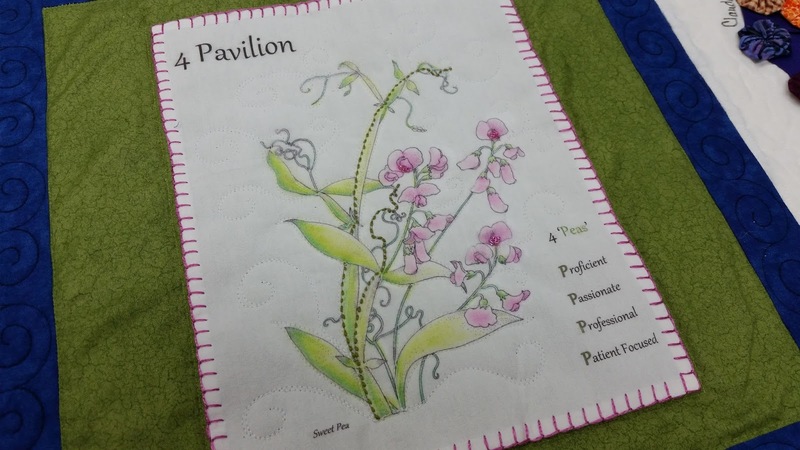 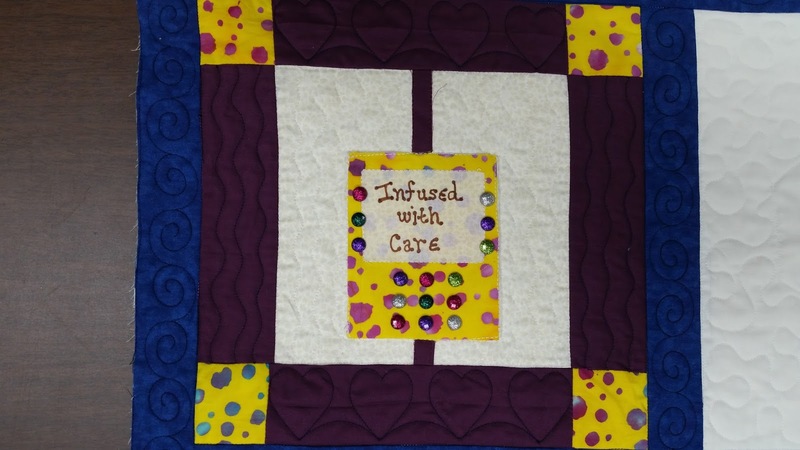 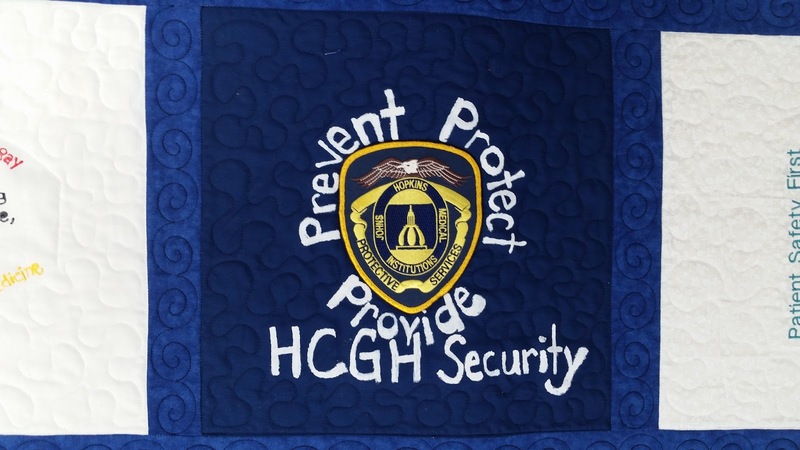 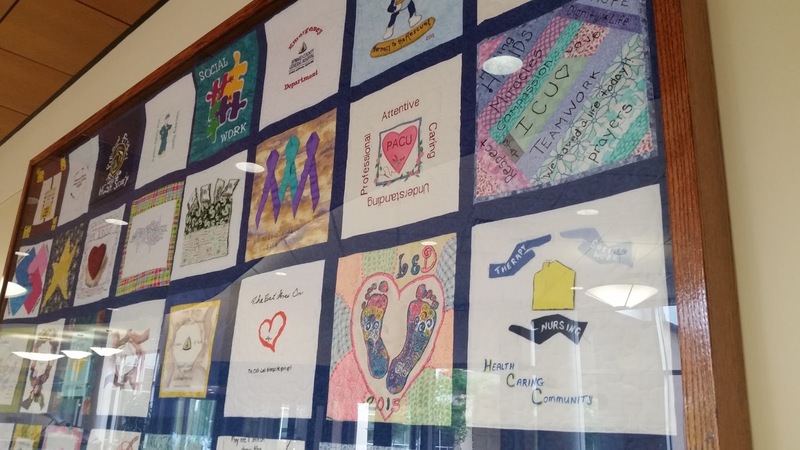 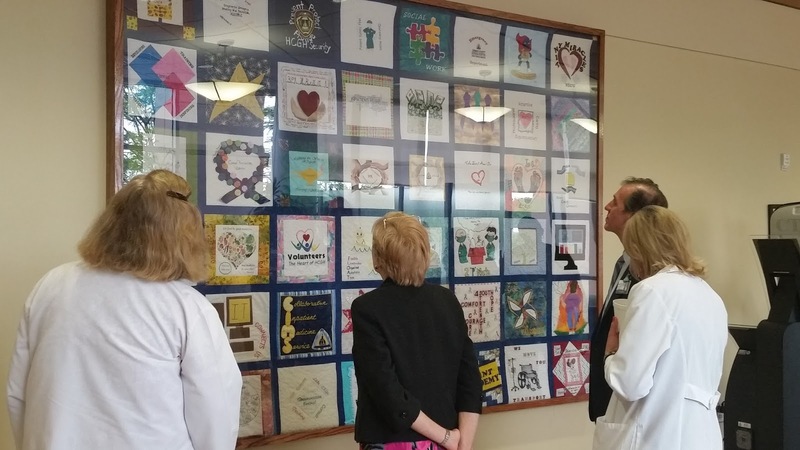 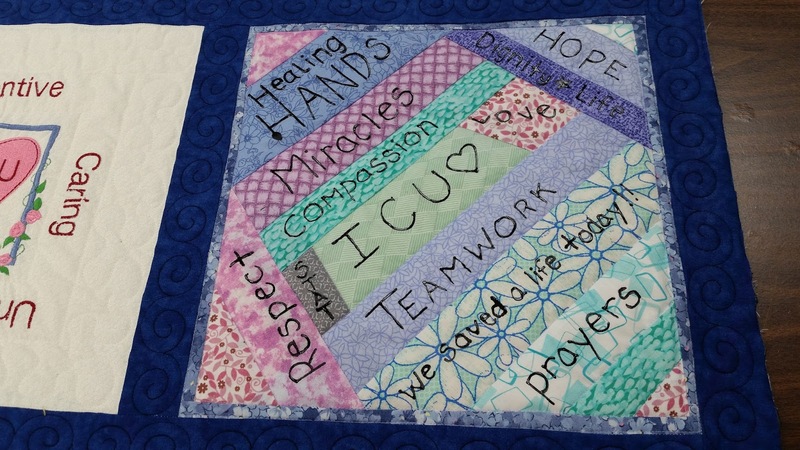 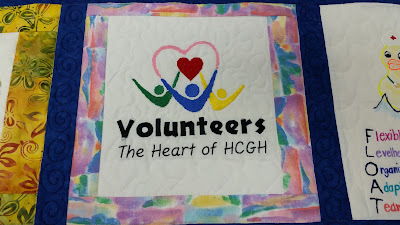 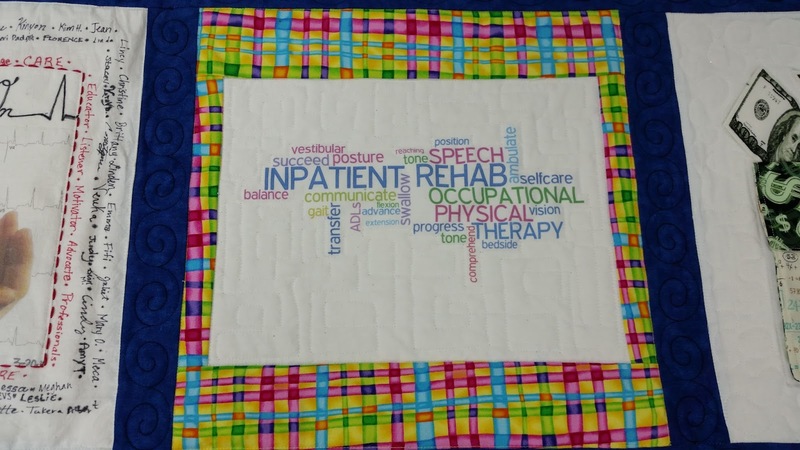 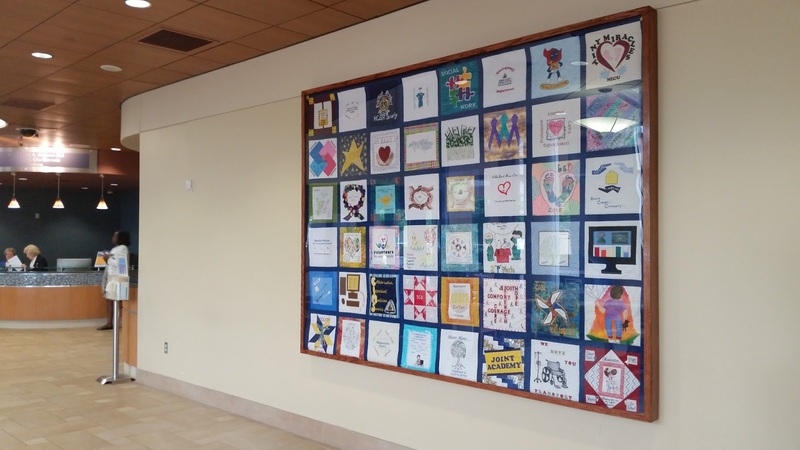 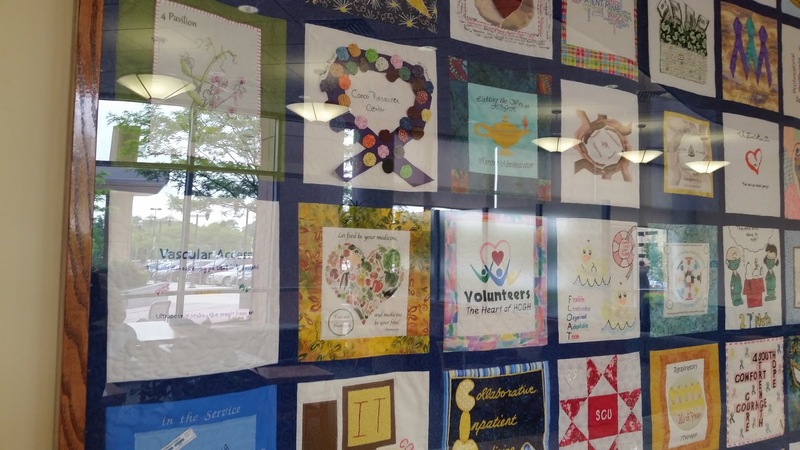 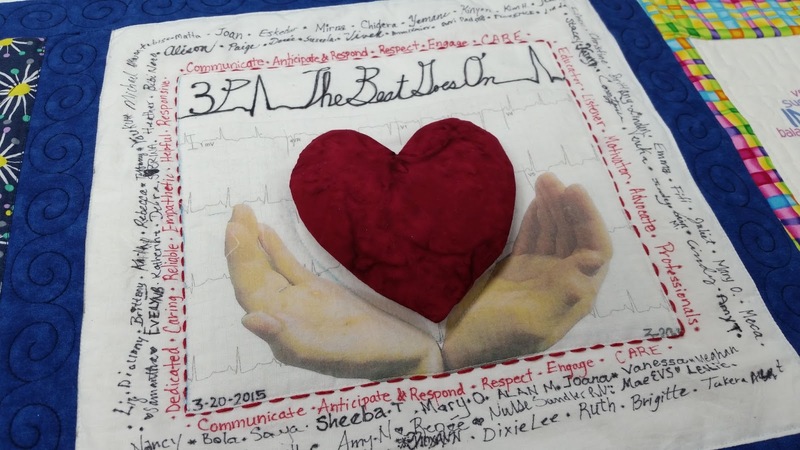 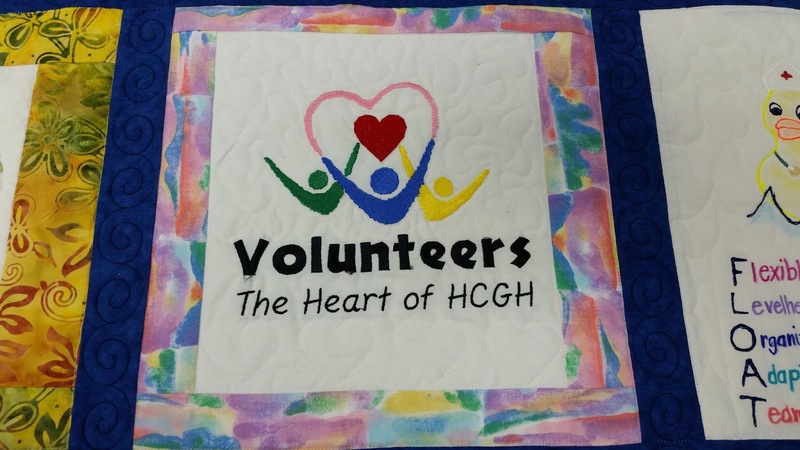 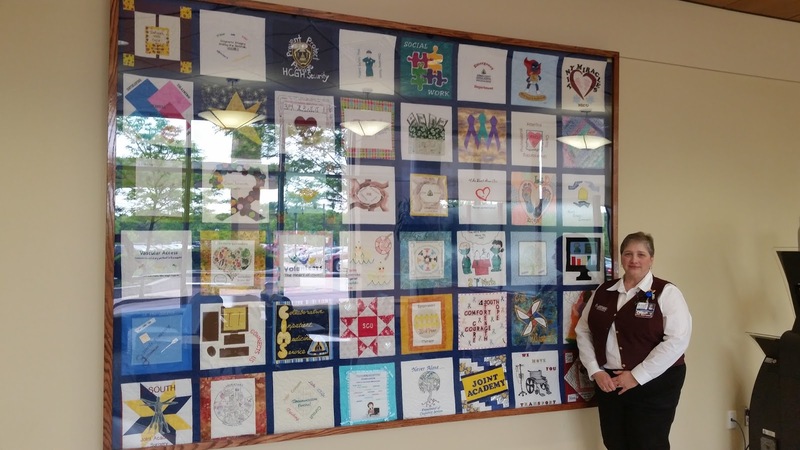 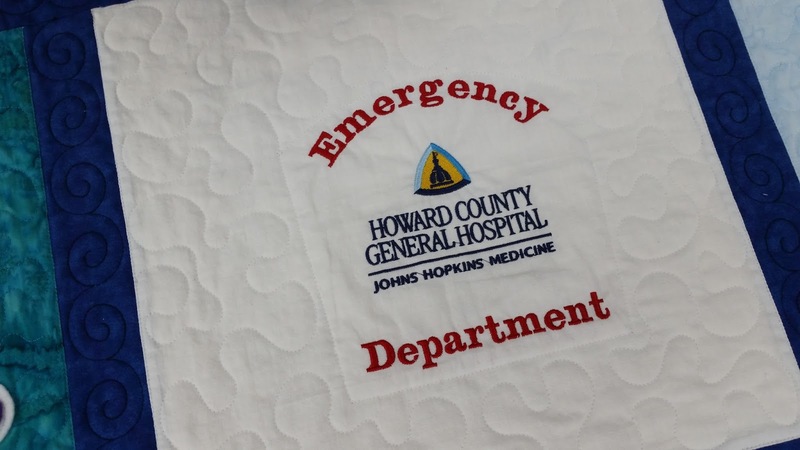 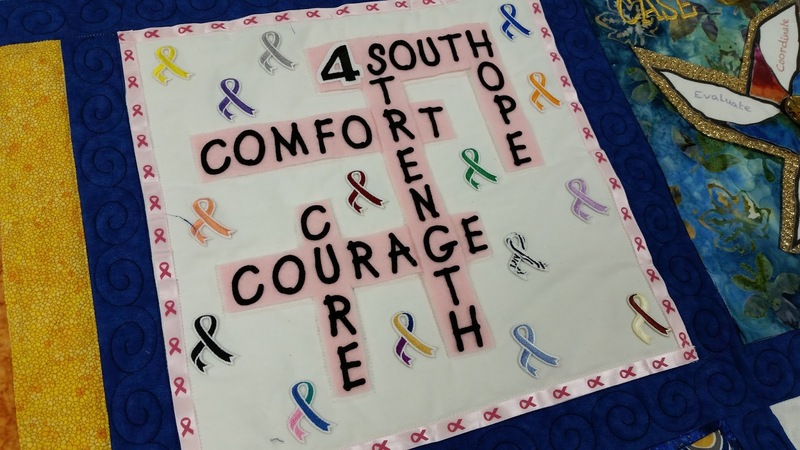 48 different departments of the hospital participated in the making of this quilt by each providing a block! Standing with the quilt here is Vivian Bonnell, a nurse in the NICU, who was one in the group of ladies who coordinated the making of the quilt. Vivian contacted me to do the quilting after they had collected all the blocks and pieced the top together. 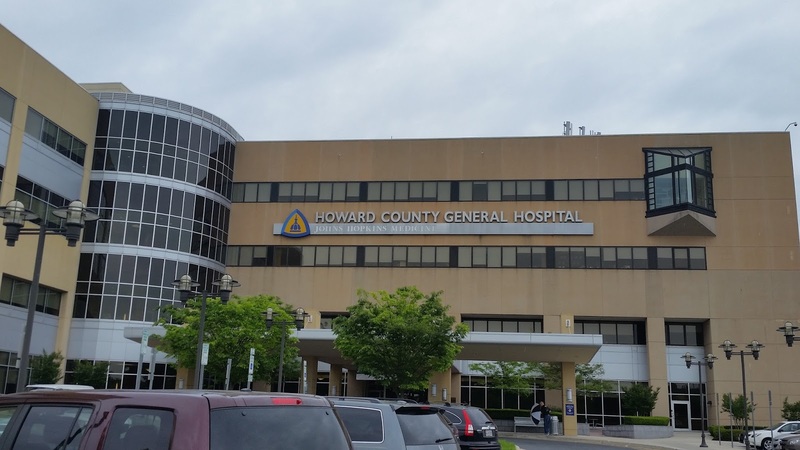 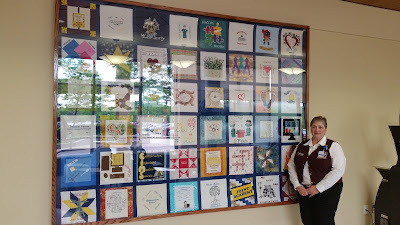 Everyone was so nice and welcoming to me yesterday as members of the different hospital departments gathered to see the quilt unveiled, and Howard County General Hospital president Steve Snelgrove even recognized me in his remarks, and chatted with me afterwards, asking me questions about the process of longarm quilting. 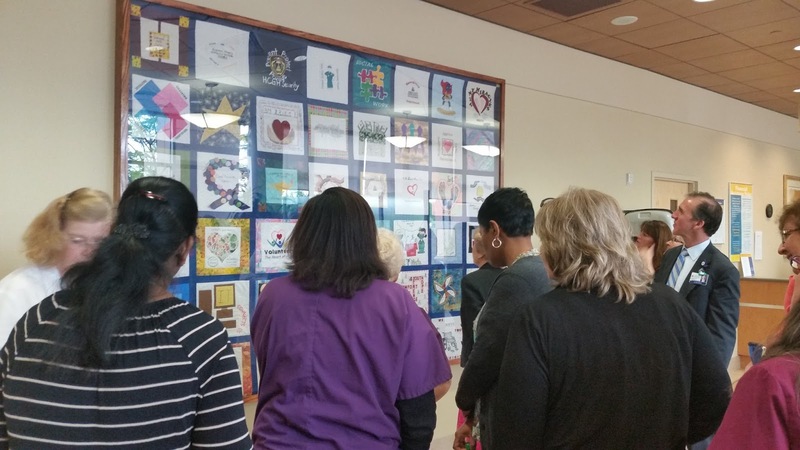 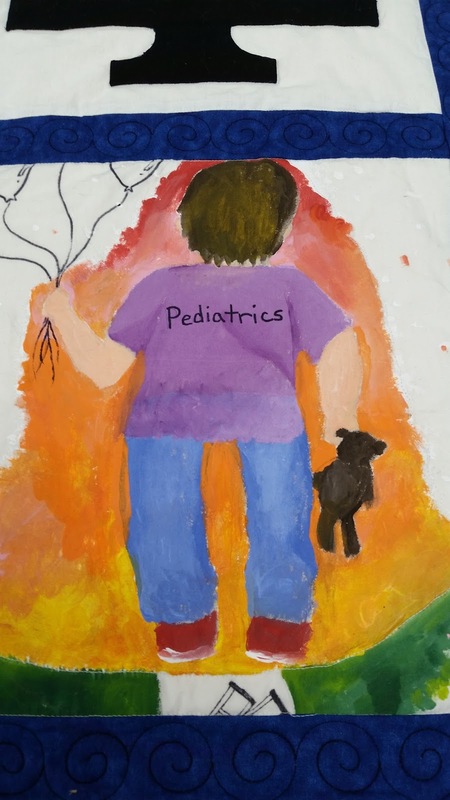 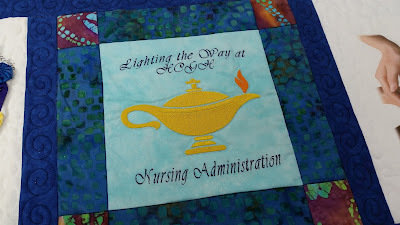 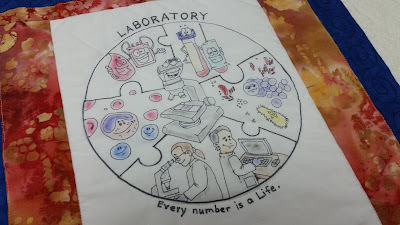 After the presentation, it was fun to watch people go up to the quilt and look at all the details, and find their department's block :) The quilt is a nice testament of the unity, pride and respect that the departments of the hospital have for each other. 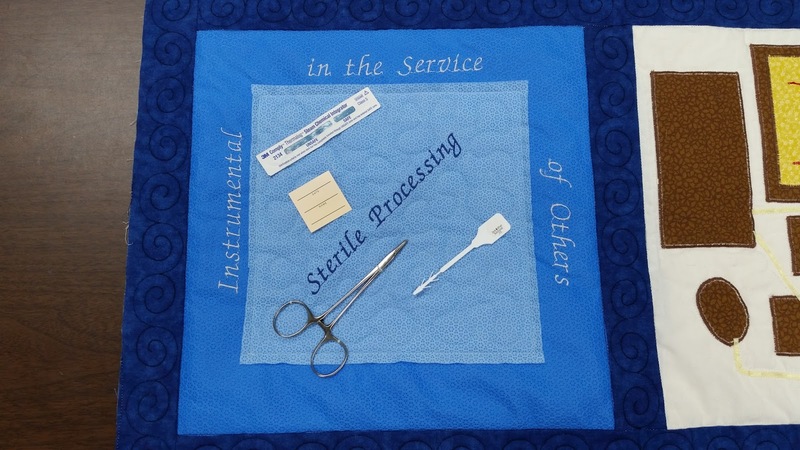 Then there were the blocks that weren't made of regular fabric at all like this one from Sterile Processing. This is one that also had items attached that I had to remove to load the top on my quilting frame. I took photos before, so I could carefully sew things back on to the same place that they came from. 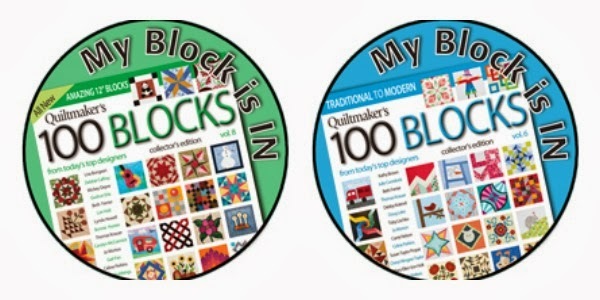 Some blocks were computer generated and printed out on fabric sheets then sewn into a block. 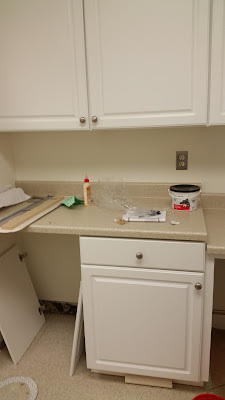 ...and multiple types of paints. Coloring, beads, and jewels glued on. Fun coloring and sketching too. 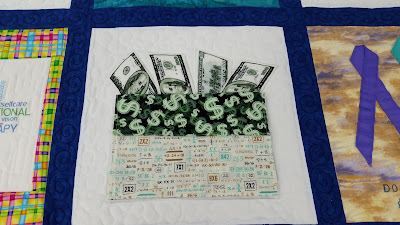 ...If you worked on a block in this quilt, let me know! 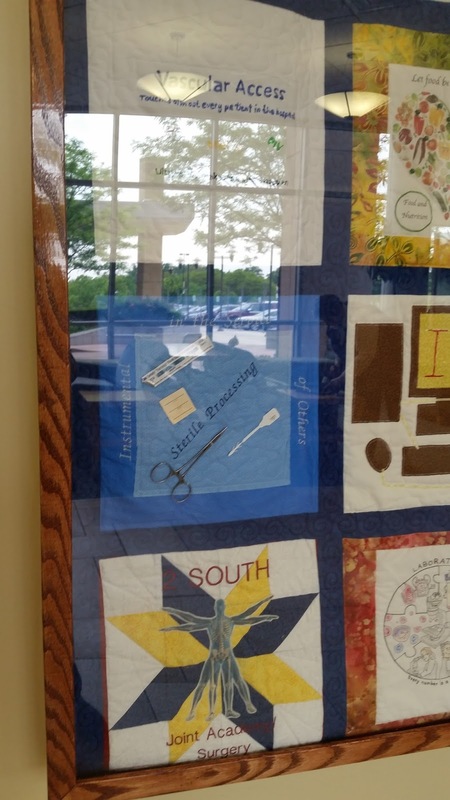 So now this quilt is hanging right in the main lobby for all to see ~ Walk in the main front door of the hospital and look over to the right and you'll see it! I've sat in the waiting areas of this very hospital on many an occasion, and I know first hand how nice it is to have something interesting to look at, and focus your mind on when waiting in these situations. I'm honored to have been a part of this special project. In the beginning it looked like this ~ mostly one large space. 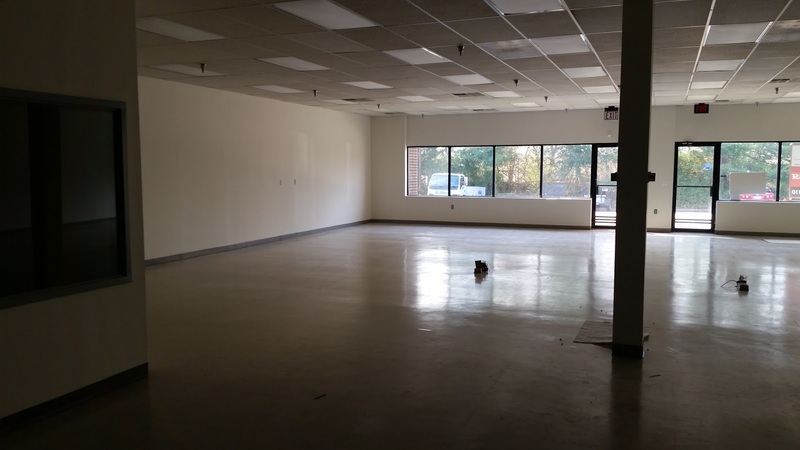 A (somewhat) clean slate to work with. 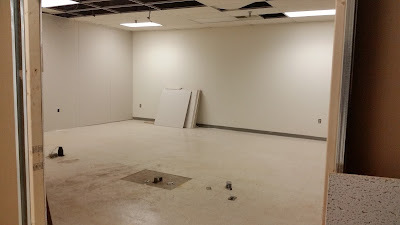 We knew we wanted some walls built to create our work spaces. 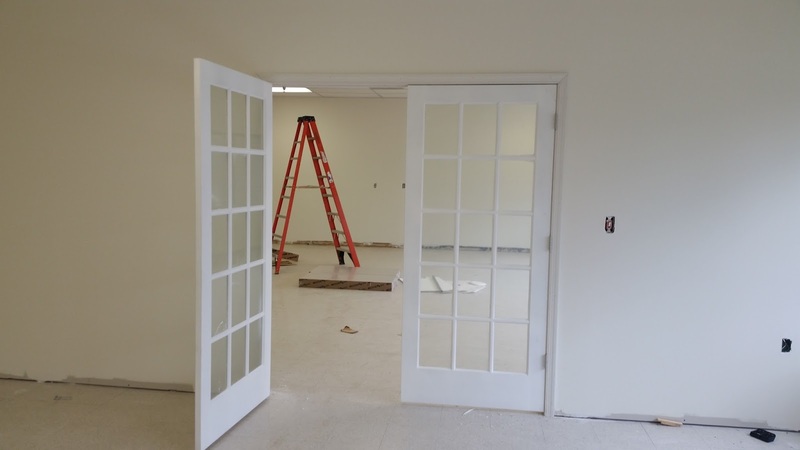 And we put up these French Doors so we can see out when we're quilting away in the Handi Quilter room. 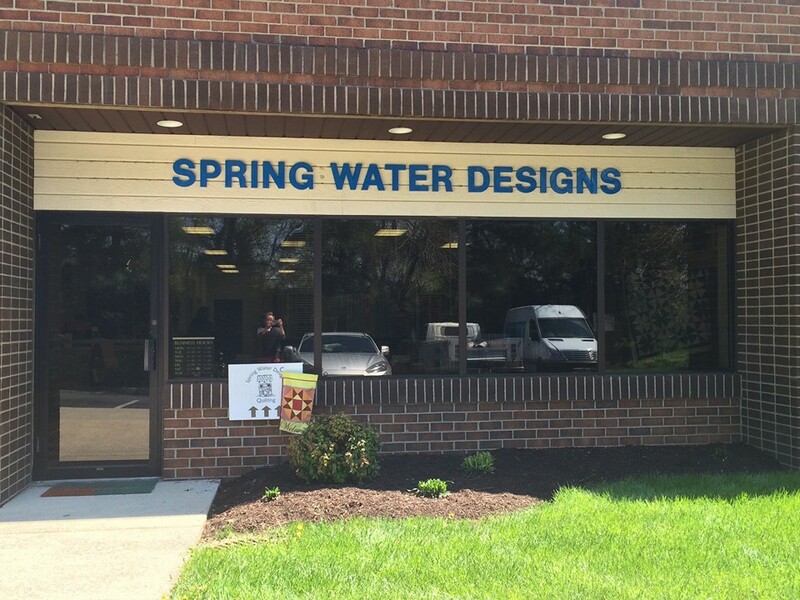 Here are a couple of sneak peaks from around our showroom area. 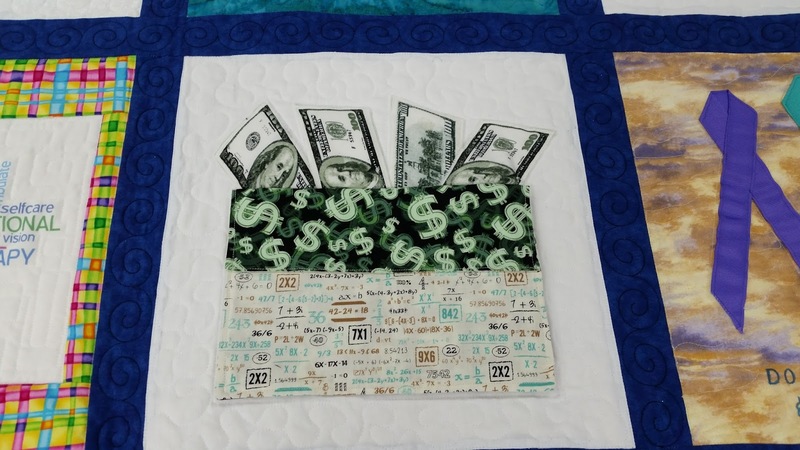 Above is a simply stunning quilt made by Pat Brousil. 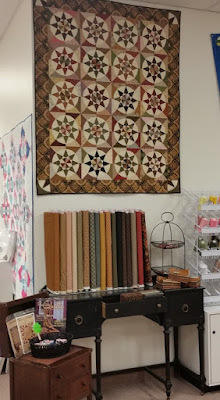 It's a sample for her upcoming Hand Piecing Class called Twisted Star. 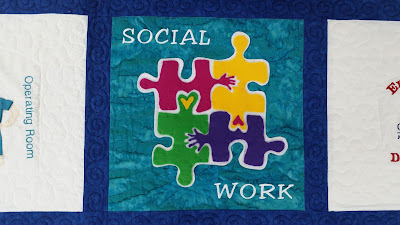 Click Here for details about the class. 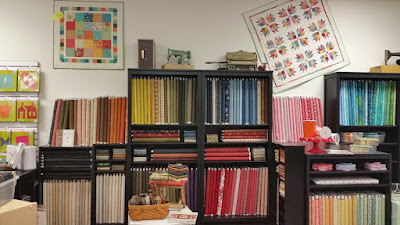 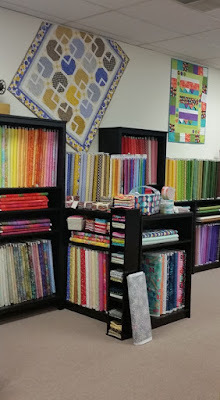 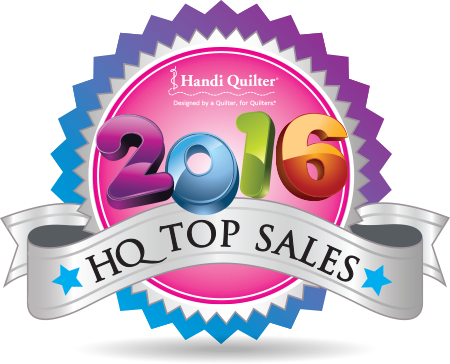 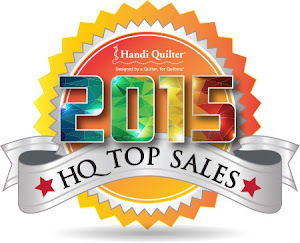 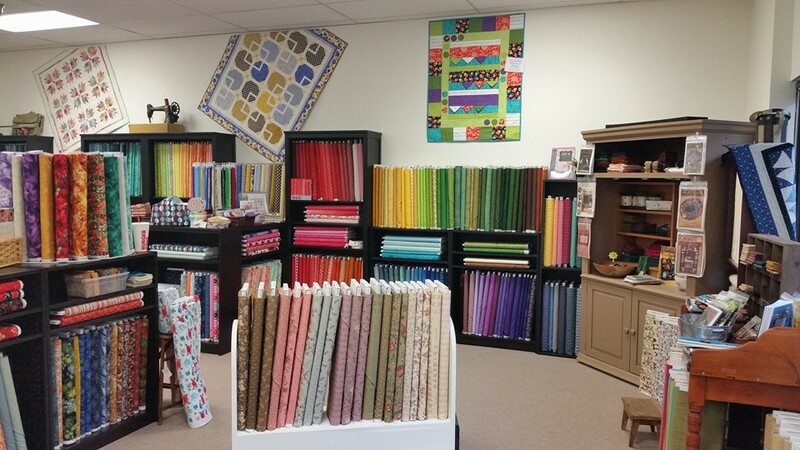 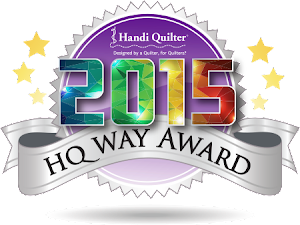 We have lots of space for quilt samples! 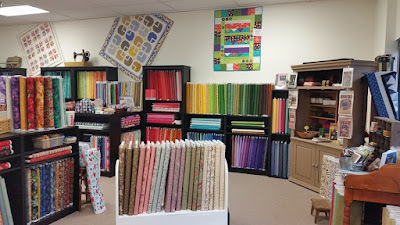 Here are a few...above left is a sample for our Sassy Quilt that we have a few kits for, and on the right hand side is the Quilt As you Go Baby Quilt sample for Barbara Dahlberg's upcoming class on Thursday, April 21st. 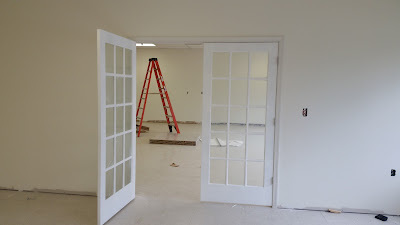 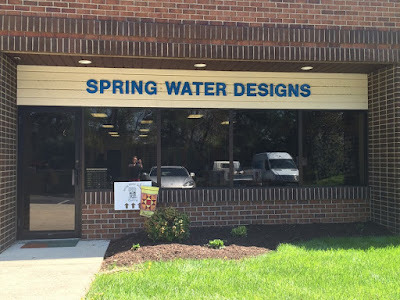 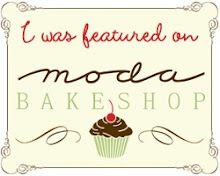 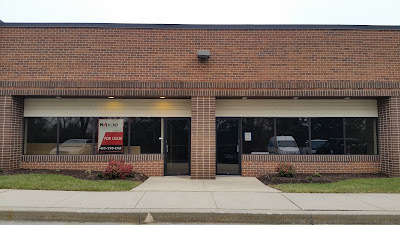 Stay tuned for more photos, and stop in to see us in our new digs!